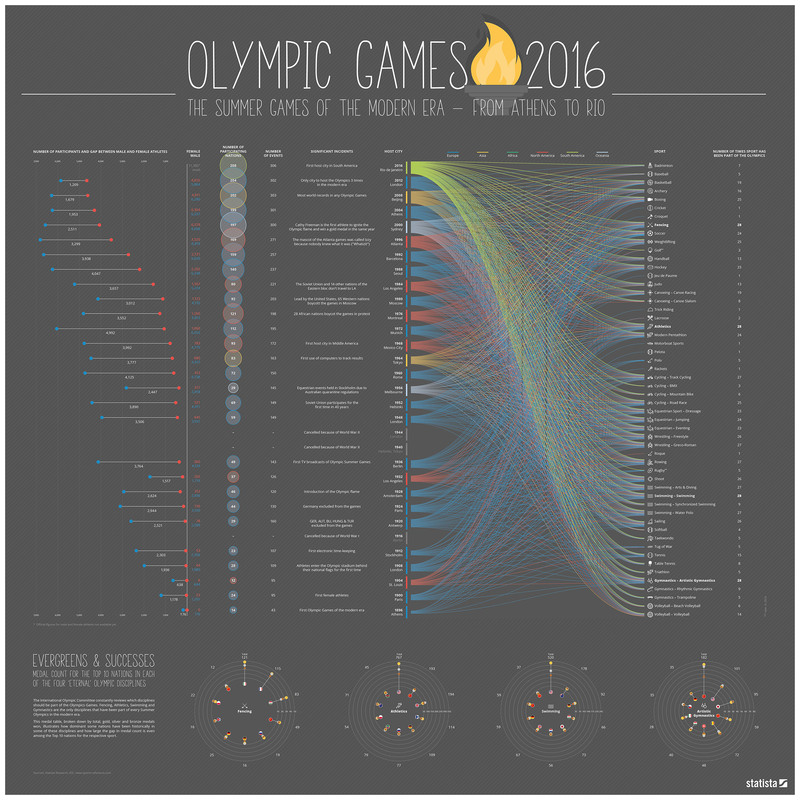 The 2016 summer Olympics officially kick off today in Rio De Janeiro, Brazil, and with the start of such a major international competition comes the inevitable wave of related content. Over the next 2-3 weeks, elite athletes from all over the world will be competing in more than 300 events, from football to fencing. But it may surprise you to learn that not every sport has always been included in the Olympic Games, with the IOC (International Olympic Committee) regularly reviewing which sports and disciplines should be part of the games. According to the following infographic from Statista, which was sent my way by the ever-helpful Manish Chande, only swimming, fencing, athletics and gymnastics have been part of every summer Olympics in the modern era.